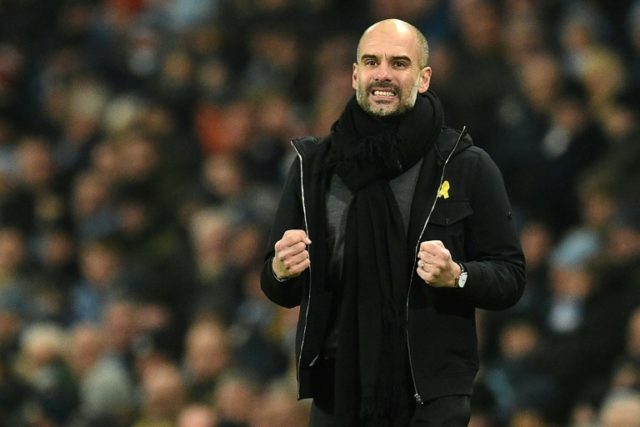 Manchester (United Kingdom) (AFP) – Pep Guardiola hailed his side’s mental strength as Sergio Aguero’s expert hat-trick helped Manchester City beat Newcastle United 3-1 in a win that restored their 12-point lead at the top of the Premier League. After losing 4-3 against Liverpool the previous weekend, this Etihad Stadium contest was always likely to ask questions of City’s squad and their ability to return to winning ways after the Anfield defeat ended their remarkable unbeaten start to the season. Yet any fears City fans might have had about the desire of Guardiola’s squad to win the title were put to bed on Saturday after the brilliant Aguero bagged the match ball from a fixture where City ran Newcastle ragged. Guardiola was especially pleased with the way his team managed to recover from their stumble on Merseyside. “The players reacted really well with huge personality,” the City manager said. The former Barcelona and Bayern Munich coach added: “When we lost 4-3 against Liverpool, we congratulated Jurgen Klopp and his team and moved forward. City were completely dominant for vast swathes of Saturday’s match as Aguero headed home Kevin De Bruyne’s brilliant cross after 34 minutes before doubling City’s lead from the penalty spot on 63 minutes following a foul on Raheem Sterling. But when Jacob Murphy took advantage of a dozing City defence to pull a goal back on 67 minutes, clipping past Ederson, the game did come alive and the visitors briefly threatened to take an unexpected point. However, City were able to breathe easy with seven minutes remaining when the thrilling Leroy Sane waltzed around and through Newcastle’s defence before laying off to Aguero who swept home his third goal. In the corresponding fixture on December 27, Newcastle manager Rafael Benitez was slammed by many Magpies fans for his side’s extraordinarily negative approach. They were marginally better in this contest, as exemplified by Murphy’s fine finish, and Benitez was happy with his side’s efforts. However, he again called for owner Mike Ashley — who this week branded his attempts to sell the club to a consortium organised by financier Amanda Staveley “a frustrating and complete waste of time” — to spend some money in the January transfer window. “In my last conversation with Mike Ashley he said I would have the green light to sign players and I want to see that happen before January 31,” Benitez said. “We have a list of players and we have to try our best to bring in what we need,” added the Spaniard, whose side are just two points above the drop zone. Reflecting on Saturday’s match, the former Liverpool manager said: “I think that we wanted to stay in the game and we did it, the penalty was a bit soft and it changed everything. After we scored, we had a couple of chances.